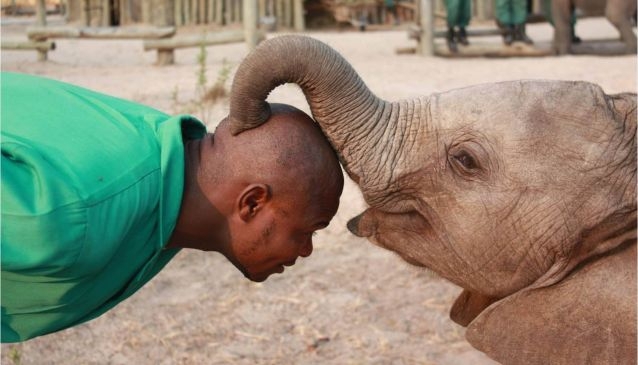 The Lilayi Elephant Nursery is managed by Game Rangers International and established with ongoing critical support from the David Shepherd Wildlife Foundation, the Nursery rescues and rehabilitates orphaned elephant calves from all over Zambia. When they are old enough the elephants are moved to the Kafue Release Facility where they will gradually release themselves back into the wild. The babies can viewed from a viewing platform located near the entrance. Viewing time is between 11h30 - 13h00 when the little ones are brought in from exploring the park and learning how to be elephants in a safe, secure environment supervised at all times by their dedicated keepers. The viewing platform is the perfect vantage point to watch the elephants as they have their lunch and interact with each other. Elephants are very social animals and these little babies need 24 hour supervision. A visit to the Elephant Nursery is free but please do make a donation. Alternatively you can adopt an elephant or make a donation through the David Shepherd Wildlife Foundation Donation Page where you can opt for your donation to specifically benefit the Kafue Conservation Facility in Zambia (last option) which includes the Kafue Release Facility.